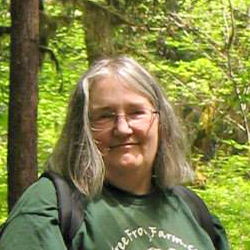 I’m Nancy Ging, and I live in a natural island paradise in the northwestern corner of Washington State. Nearly every day I experience magical, fleeting moments of beauty and meaning that take my breath away. Using sketches or a camera, I capture the visual details of those ephemeral moments as they occur. Later, in the studio, I add my memory of what the experience felt like, the spirit of it, and work to express the wholeness of the moment in a painting so I can share it with you. I began creating art in earnest in 2007. I first used acrylics as a medium, and then switched to soft pastels. The purity of the pastel pigment is visually delightful. I also enjoy the tactile, drawing-like movements used in applying the colors, and the feel of the varied paper textures. Artistically, I aspire to the confidence and spontaneity of works by Harley Brown, the composition and authenticity of Albert Handell’s landscapes, and the vigor and action in Dawn Emerson’s paintings. At the most fundamental level, my goal is to create paintings with the degree of aliveness and intimacy achieved by Mary Cassatt and Marie Bracquemond. Thank you for visiting my website! I hope you’ll subscribe to my email newsletter. You’ll receive announcements when new paintings are completed, information about upcoming exhibitions, and special subscriber-only benefits. I really appreciate your interest in my artwork!